For those who are new to Cable Car, a few words about my philosophy on publicity may be in order. 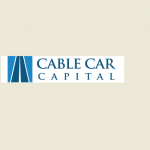 The bulk of Cable Car’s investment activity is and will remain passive security selection based on potential return on capital and the belief that other market participants will eventually come to similar investment conclusions. That said, I have written before about the benefits of ‘soft activism’ – publishing a detailed, accurate, and original research report, long or short, can sometimes accelerate price discovery and improve an investment’s internal rate of return. The Internet makes it easy to share opinions, and I intend to continue sharing mine when I believe I can help correct misinformation in the marketplace or persuade others of my point of view. As a partial owner of a business, I believe it would be irresponsible not to communicate with management when opportunities for value creation become apparent. However, Cable Car is unlikely to follow the traditional model of activist investing and noisily agitate for change at its portfolio companies. I am more inclined to sell a mismanaged company short than buy shares hoping to effect change without a control position. For example, an activist recently published an angry letter to the Board of Directors of a company Cable Car is short. In the letter, they surprised me by publicly articulating several aspects of my own short thesis: management has materially misrepresented the liquidity position of the business, engaged in self-dealing, and entrenched itself through poor corporate governance. On the short side, my approach to publishing research is nuanced. I am mindful of the fact that there is still a great deal of misunderstanding regarding the role of short sellers in the market. We are often unreasonably vilified. Short selling is not always a moral judgment, and Cable Car’s short positions are not necessarily intended as indictments of companies and management teams. Theses based on fraud or malfeasance are the exception, not the rule. Cable Car’s portfolio remains long-biased. However, given the time required to publish a detailed report, it is personally far more satisfying to help expose wrongdoing or contribute to a public policy aim rather than just correct mispricing. I will not be shy about publishing research if I believe I can contribute meaningfully to the market’s understanding of a business, but I will be considerably more likely to do so when there is an ethical dimension to the work. Along these lines, I believe it is extremely important to maintain the highest standards when publishing research on either the long or the short side. That means fully disclosing my positioning and attendant bias, clearly distinguishing fact and opinion, and avoiding the kinds of exaggerations that have sometimes been associated with short sellers in the past. Two different short positions illustrate my varying approach to advocacy as a short seller. I have written about UK-listed contract for difference broker Plus500 (PLUS LN) in detail for the reasons just described. I believe the basic goal of increasing colorectal cancer screening is laudable, but I think EXAS is overvalued, estimates are too optimistic, and the current reimbursement level for Cologuard is excessive. My efforts to persuade Centers for Medicare & Medicaid Services (CMS) to reconsider the payment level for Cologuard are based on objective research into the cost-effectiveness of different screening alternatives. Researching EXAS led me to the conclusion that Cologuard should have a lower reimbursement level, but absent the short position, I would hold the same opinion as a taxpayer. I presented the reconsideration request before the Clinical Lab Fee Schedule Public Meeting on July 16, and CMS is expected to reach a determination on the reconsideration request by October. Investments discussed are held in client accounts as of July 22, 2015. These investments may or may not be currently held in client accounts. The links indicate which securities are held at Covestor. The reader should not assume that any investments identified were or will be profitable or that any investment recommendations or investment decisions we make in the future will be profitable.